Before President Donald Trump’s promises of an “impenetrable” wall at the U.S.-Mexico border, there was America’s wall. As it stands today, the wall is imperfect. It is a hodgepodge of steel gates, concrete pillars, hip-high vehicle barricades and other materials. It is marred with cuts and patches; bypassed beneath by tunnels and overhead by drug-delivering catapults and drones; interrupted by long stretches of desert where thousands of people have died trying to enter the U.S. illegally on foot; and cradled on the east and the west by vast expanses of water where people swim, scuba dive and sail around the border. 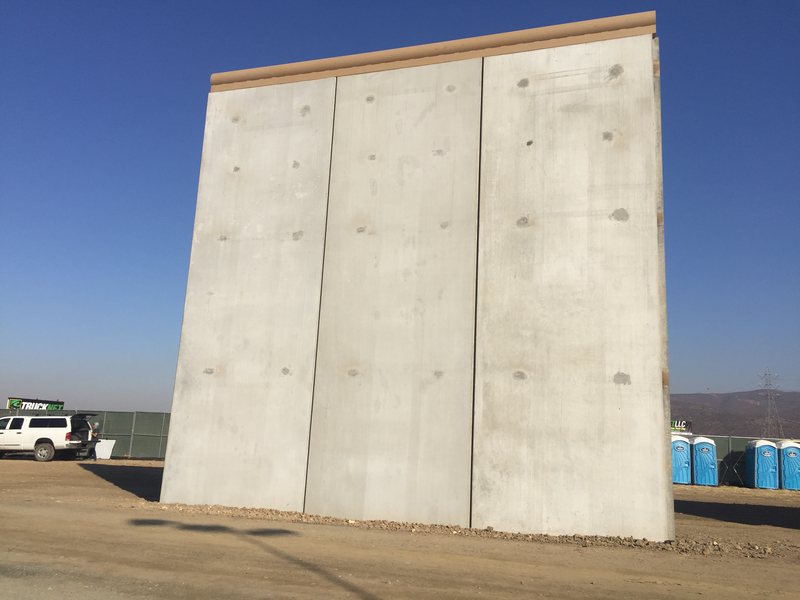 KPBS and inewsource partnered for this in-depth reporting project we’re calling “America’s Wall.” We were motivated by President Donald Trump’s call to spend billions of dollars to build a longer, more fortified wall along the U.S.-Mexico border. 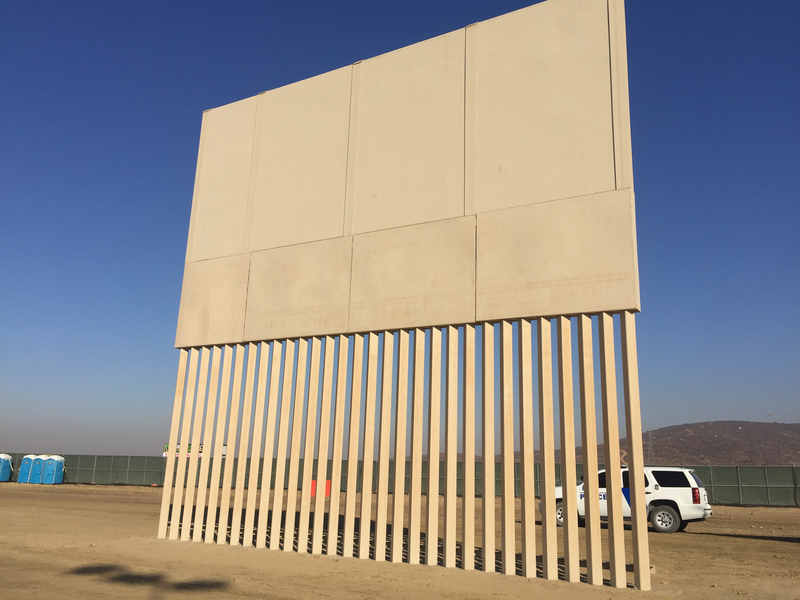 We wanted to know what that new and improved wall might mean for the people on both sides of the border, and we looked to facts from the past to tell the story. Using previously undisclosed data from the federal government, we created an interactive map that shows every mile of the current wall along with when it was constructed. We layered that information with illegal immigration patterns and enforcement over the decades. To read more about this collaboration, click here. To read about our map and data methodology, click here. It’s also new. Almost 90 percent of what is there today was built in the past 12 years under Republican President George W. Bush and Democratic President Barack Obama, based on an analysis by KPBS and inewsource using newly released data. 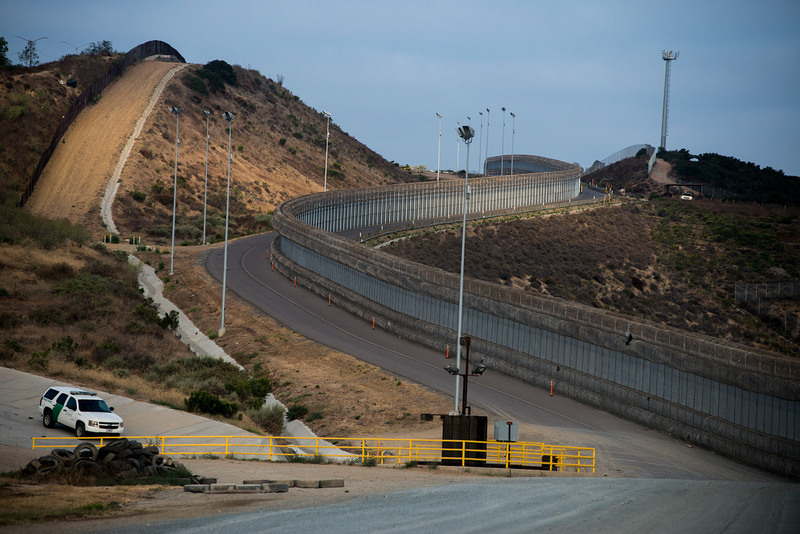 Trump plans to begin his wall by removing and replacing 14 miles of fencing in San Diego, beginning at the coast, according to the U.S. Customs and Border Protection. 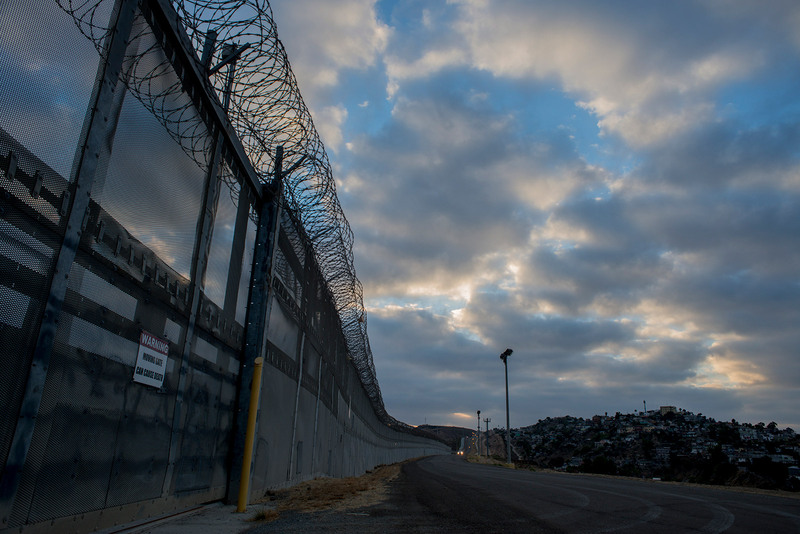 So far, the administration has secured $102 million for that replacement project, but if the president can get more funding he aims to lengthen America’s wall. The goal of building walls and fences at the U.S.-Mexico border has always been to curtail illegal immigration and drug trafficking. So, has the wall done its job? Will a new one do it better? 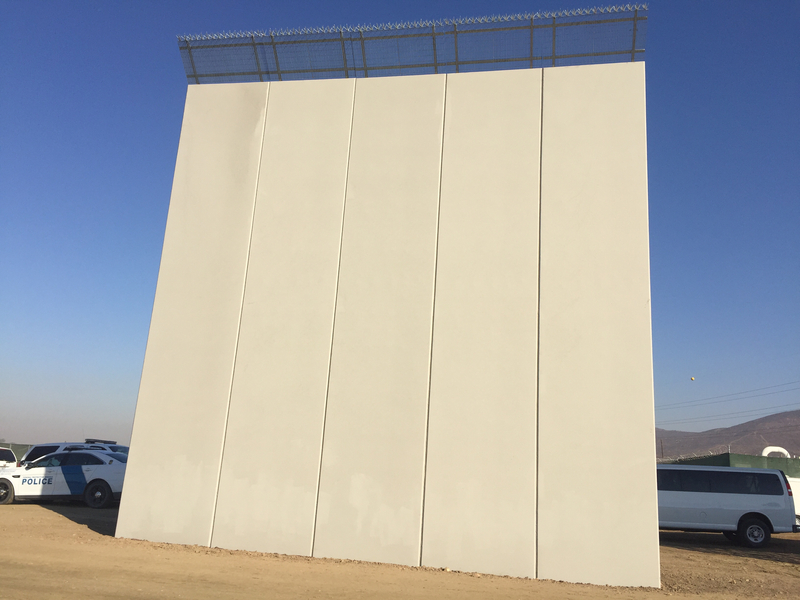 This border wall that stretches from California through Texas has been covered exhaustively by media the world over. 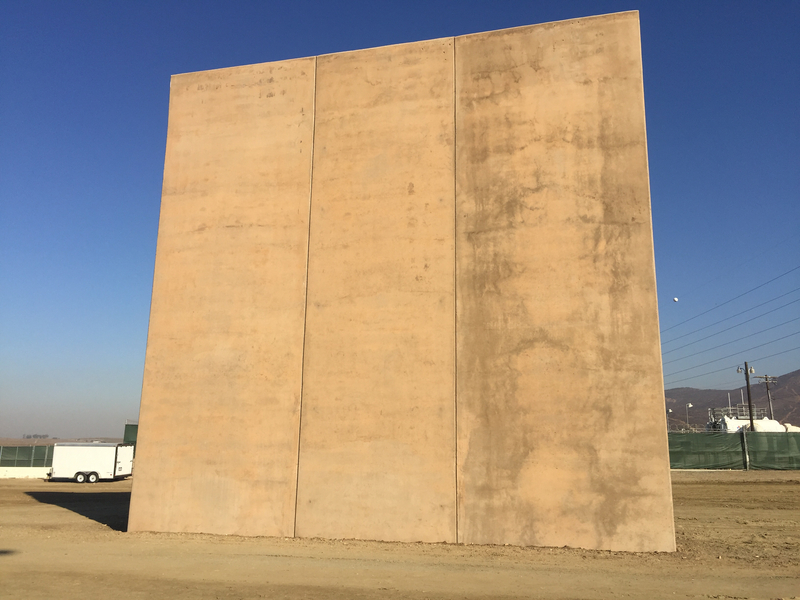 But in this story of America’s wall, a collaboration of KPBS and inewsource, we were able to demonstrate with data what has previously been shown only through approximations and anecdotes: the impact of the wall over time. Using newly disclosed details obtained from Customs and Border Protection, we created an interactive map showing every piece of existing fencing and when it was built. By layering that with more data, we connected the dots to show how construction of America’s wall is intertwined with the ongoing story of illegal immigration. The mapping data shows America’s wall stretches for 653 discontinuous miles along the 1,954-mile U.S.-Mexico border. The strength of that wall varies. Some 37 miles of the main wall are backed up by a secondary fence. The most heavily fortified states are California, Arizona and New Mexico. In Texas, hundreds of miles separate sections of fencing. Our most conspicuous finding is a pattern we identified in the history of America’s wall: As it became stronger and longer, illegal cross-border flows of people plummeted wherever the barriers were built. But they didn’t stop. 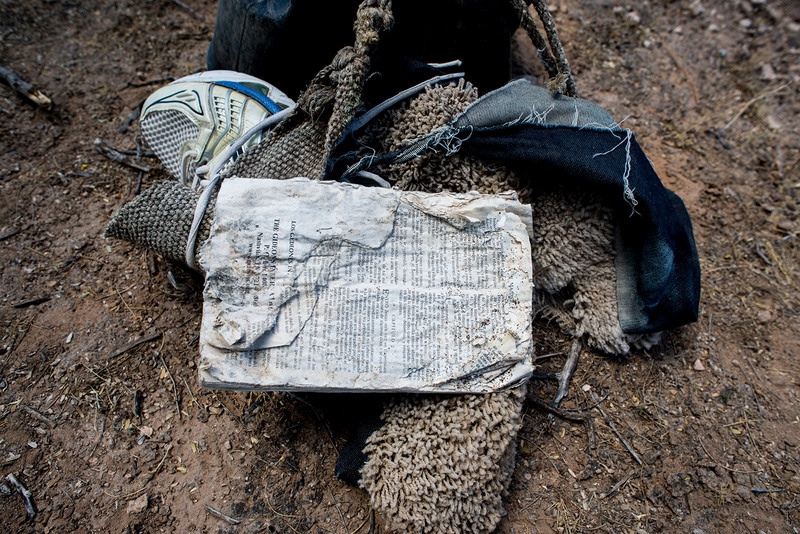 Instead, migrants and drug smugglers took different paths — into the desert, into the ocean, into the sky and underground. 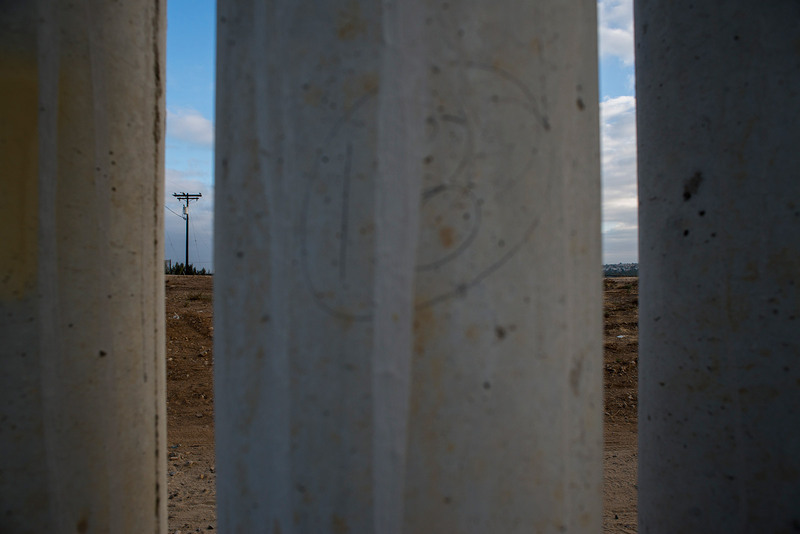 Some researchers of U.S.-Mexico policies contend this means no new version of the wall — no matter how “tall” or “physical,” words Trump has used to describe his vision for the wall — is worth the money. 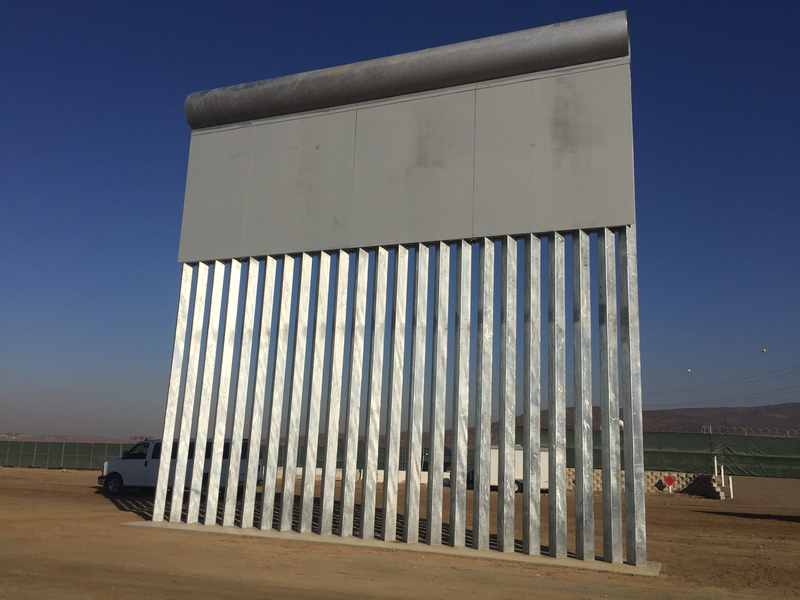 Supporters of the wall say its value in curbing illegal immigration and crime wherever it’s erected cannot be dismissed. Peter Nunez was the U.S. attorney for San Diego in the 1980s, when the city was the primary point where migrants entered the U.S. illegally at the Mexico border. Fencing then was relatively sparse. 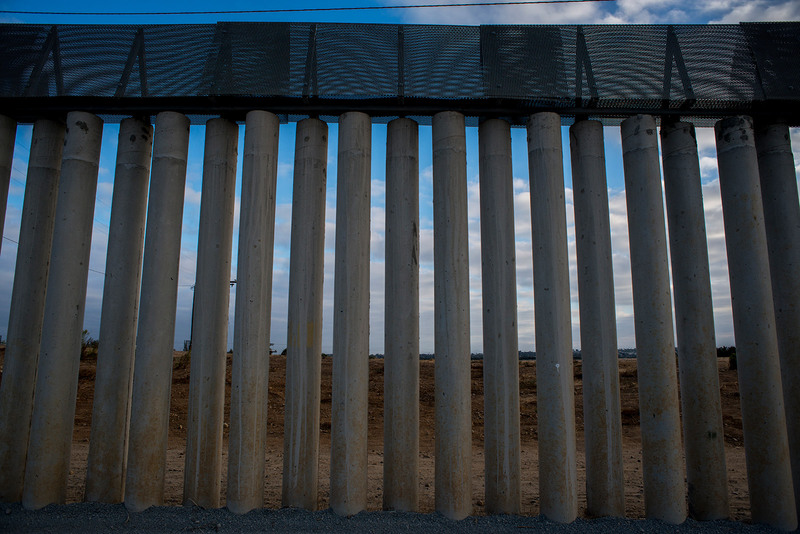 Once the wall started being built it was a game changer, said Nunez, chairman of the Center for Immigration Studies, a nonprofit think tank that advocates for tougher restrictions on illegal immigration. Construction on America’s wall has slowed in recent years as has illegal immigration. 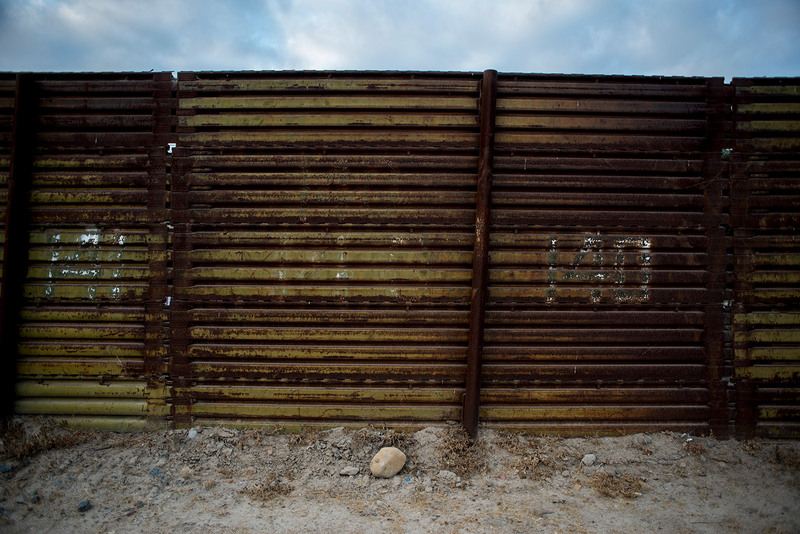 Last year, apprehensions were down to 408,870 along the U.S.-Mexico border. Figures that low have not been seen since the 1970s. And for the first 11 months of fiscal 2017, the numbers were down to 281,390. The analysis by KPBS and inewsource shows that while construction on barriers did deter some people from making the journey north, illegal immigration started slowing after 2000 — a few years before a record spike in wall construction. That decline in apprehensions continued through 2011, a few years after construction had slowed. Studies show the main drivers behind illegal immigration are incentives to pursue better jobs, reunite with relatives, or escape hunger or violence. 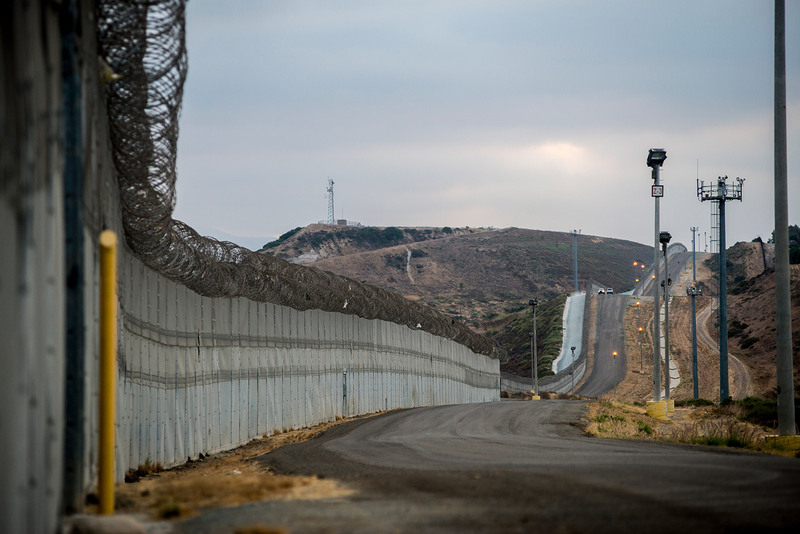 Fear of encountering a formidable wall or a Border Patrol agent is low on migrants’ lists of deterrents, according to surveys conducted by the University of California San Diego’s Center for Comparative Immigration Studies. Mexico’s improving wages and declining birth rate have contributed to historically low levels in illegal immigration from that country in recent years. The Great Recession that began in the United States in December 2007 also played a role. So why build a new wall — specifically in San Diego, which already has 48 miles of fencing? A little more than a quarter of that has a backup fence running parallel. About $7 billion was spent building the current wall, but estimating the cost for what Trump wants to build is challenging. The price tag depends on how much new fencing is built. At one time, Trump suggested a 700- to 900-mile wall, which could mean as little as 47 new miles of fencing. The best estimate from the Trump administration comes from a radio interview his budget director gave in March, where he said each mile could cost from $8 million to $25 million. Based on those figures, 47 miles could cost as much as $1.18 billion. And 900 miles could cost as much as $22.5 billion. Congress, for its part, has considered two bills that include funding for the southern border wall. 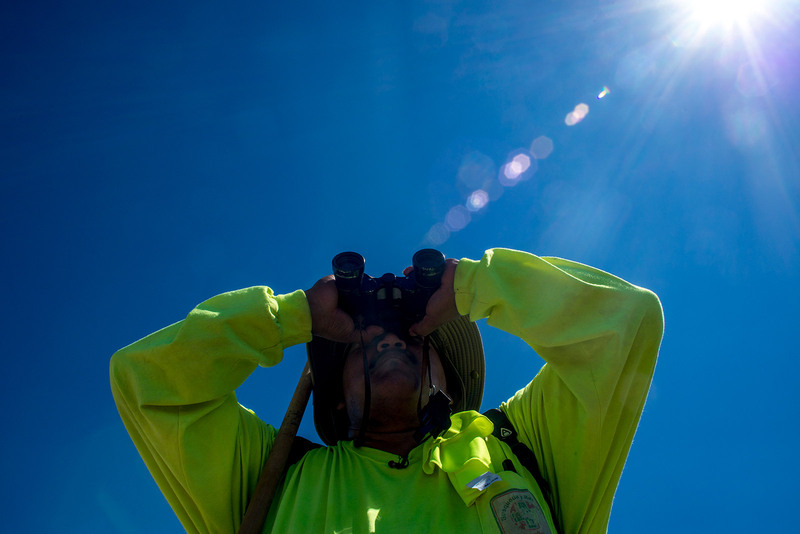 In July, the House passed a bill including $1.6 billion for construction, as well as money for 500 more Border Patrol agents and security technology such as sensors and aircraft. And a House committee approved a bill in October that would provide $10 billion for construction, as well as $5 billion for upgrades at ports of entry and 5,000 additional Border Patrol agents. Neither bill is expected to pass the Senate, where Republicans have a smaller majority. Joshua Wilson, a Border Patrol agent and vice president of the San Diego chapter of the National Border Patrol Council, said fencing keeps him safer and makes his job more efficient. 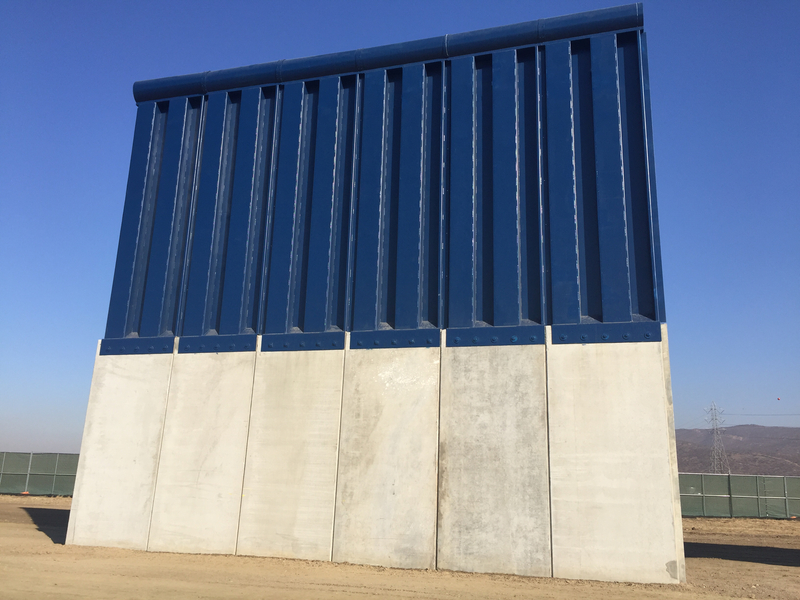 Border Patrol agents told KPBS they are looking forward to the improvements Trump has promised to make along the border, including extending and fortifying the existing wall. They believe his efforts will make it easier for them to stop those trying to enter the U.S. illegally. 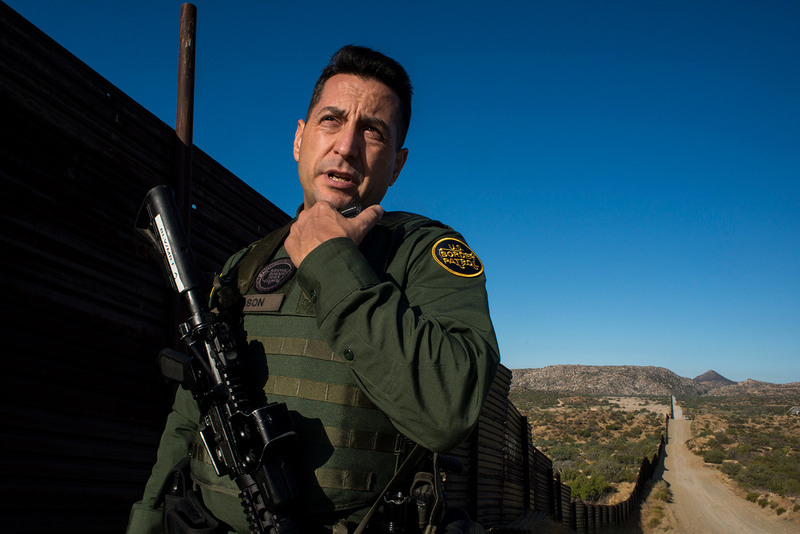 “Every layer of security we put up is another layer of security they have to spend time trying to defeat, and it allows us the ability to more effectively interdict them,” said Border Patrol agent Joshua Wilson, vice president of the San Diego chapter of the National Border Patrol Council. 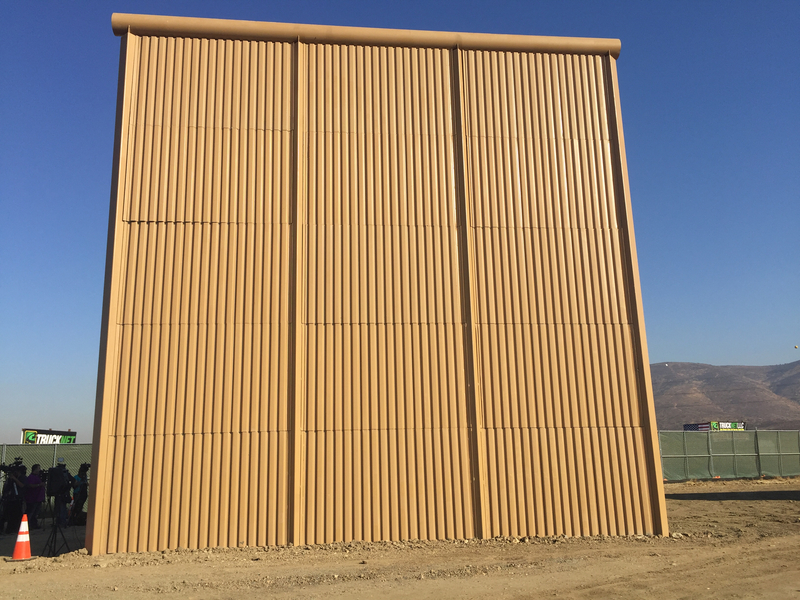 But wall opponents said Trump’s focus on San Diego — eight prototypes were just completed in Otay Mesa and the plan is to begin the new fencing here — is evidence the wall’s purpose is more political than practical. Even some wall supporters are confused by Trump’s decision to replace parts of the existing fencing. Nunez, the former U.S. attorney, said he did not realize officials were planning to reconstruct the barriers near the coast. 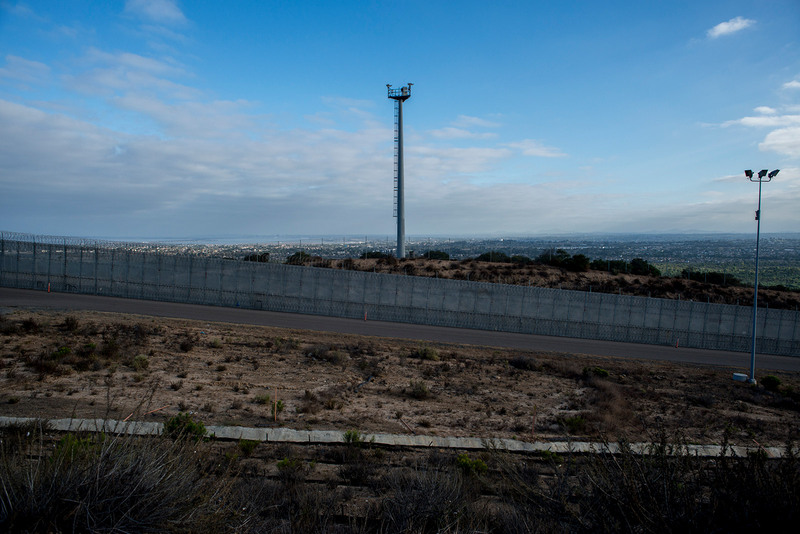 To understand the real impact of America’s wall, you have to go back to the 1980s and early 1990s, when nearly half of all apprehensions at the U.S.-Mexico border were in San Diego. Back then, little to no wall existed there. 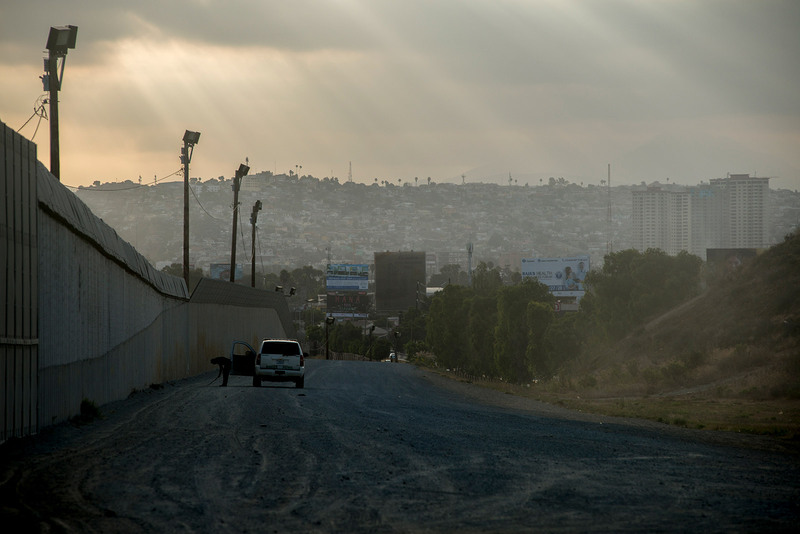 Thousands of border crossers came through what was known as “the soccer field,” a patch of land in Tijuana’s Colonia Libertad neighborhood where masses congregated, awaiting darkness so they could rush across the border, dodging Border Patrol. Then, in 1993, Democratic President Bill Clinton took office and became a pivotal player in creating what has become America’s wall. His administration launched Operation Gatekeeper in California and Operation Hold the Line in Texas, both designed to make it harder for migrants to cross illegally into the U.S. What followed was striking. Apprehensions in San Diego and El Paso plummeted as migrants shifted their routes into the desert. 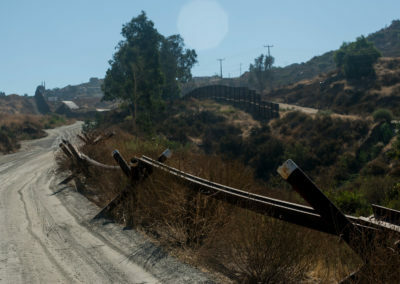 Two dozen miles of fencing were built in San Diego from 1994 to 1999. By 2000, the share of apprehensions in the city had dropped to 9 percent. For the same period, in Imperial County’s El Centro border sector, the share of illegal immigration apprehensions increased by 500 percent. 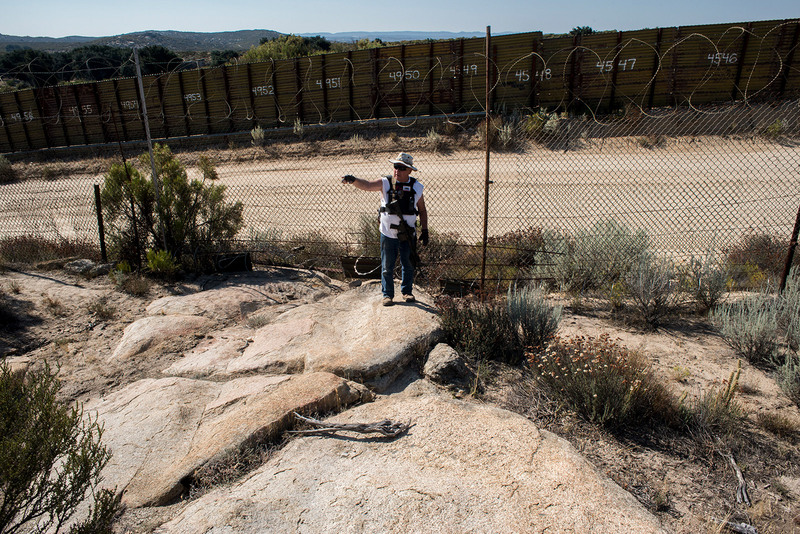 Residents in eastern San Diego County immediately saw the effect of Clinton’s new wall and stepped up enforcement. 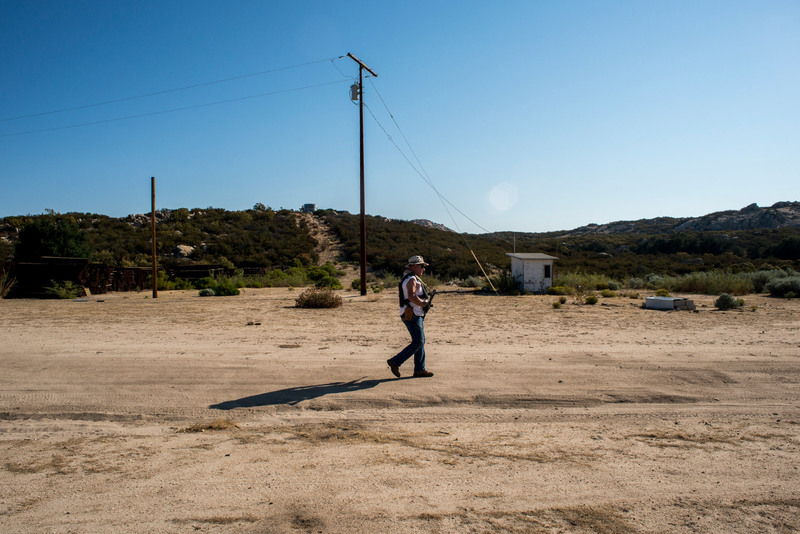 Their homes and ranches saw an uptick in human smugglers and migrants using remote desert paths to make their way to Los Angeles and parts beyond. 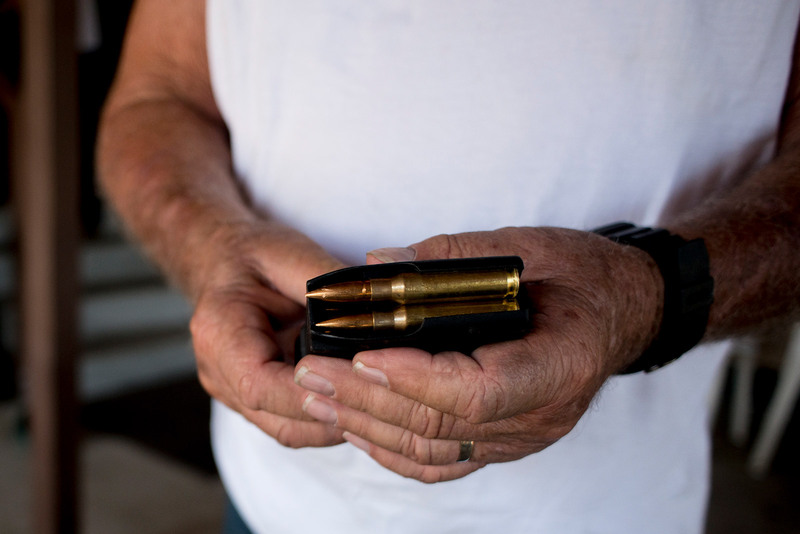 Bob Maupin, a self-described vigilante, has experienced the impact of shifting migration patterns in California. 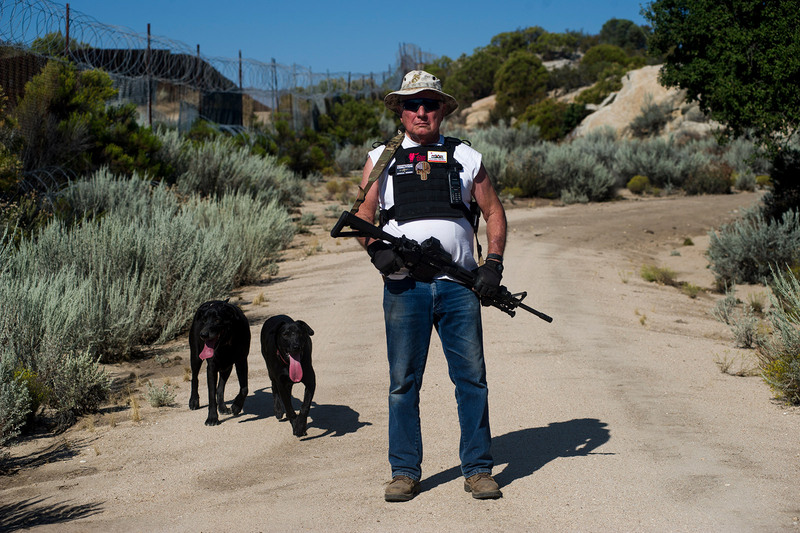 But when his backyard and that of his neighbors’ became human-trafficking routes, Maupin said, he began patrolling his property with an AR-10 rifle to help Border Patrol agents round up the migrants. And with the eastward shift of illegal entries, hundreds of migrants started dying in the desert. 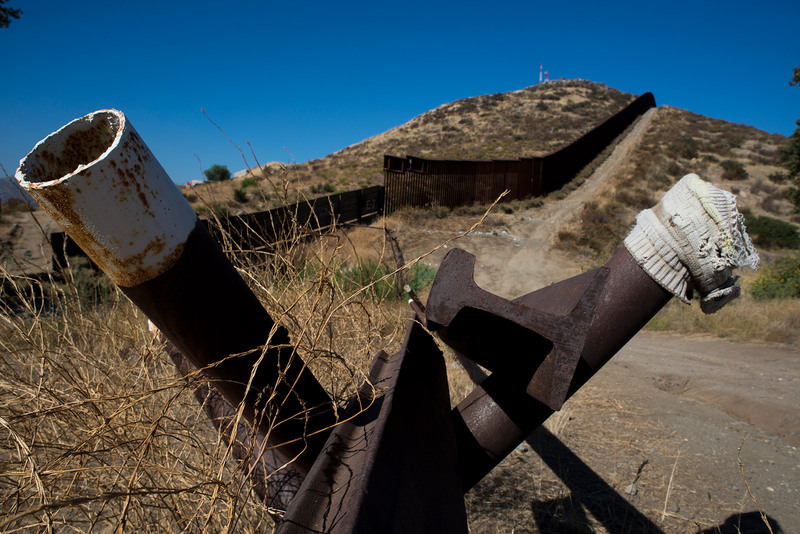 From 1998 to 2016, the Border Patrol reported 3,973 deaths in California and Arizona, or more than half of the total known deaths along the U.S-Mexico border. Those figures don’t include the bodies that are never found. 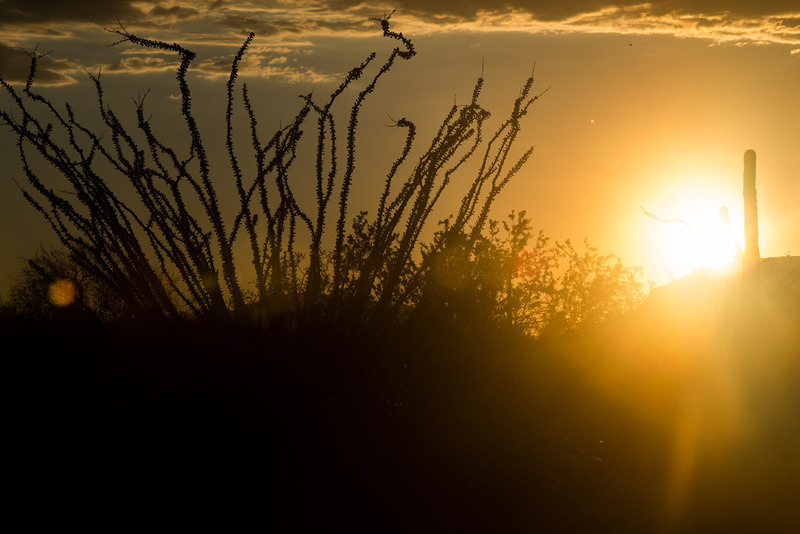 The people often die from exposure to extreme temperatures. Recognizing the problem, the Border Patrol in 1998 launched BORSTAR, a specialized unit to respond to emergency calls at the border. Then, in the post 9/11 years, amid a renewed focus on national security under President Bush, the U.S.-Mexico border landscape saw a still-more dramatic transformation. 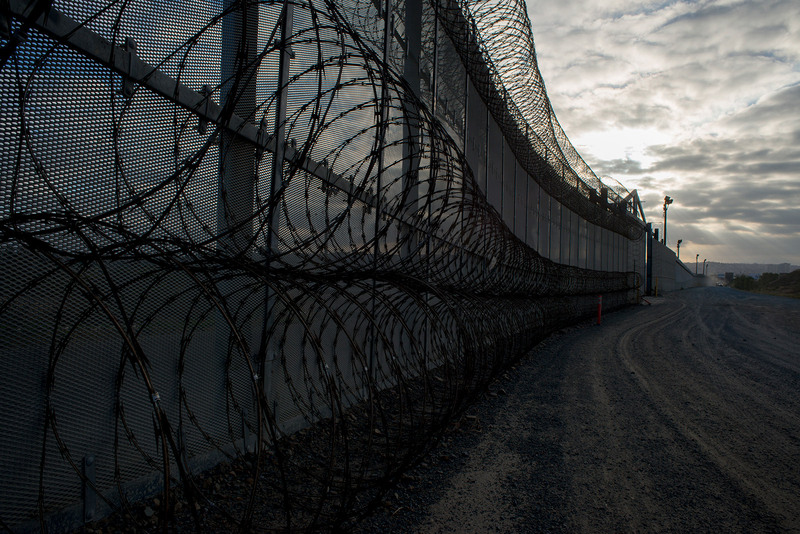 In 2006, the Secure Fence Act called for hundreds of miles of additional fencing. 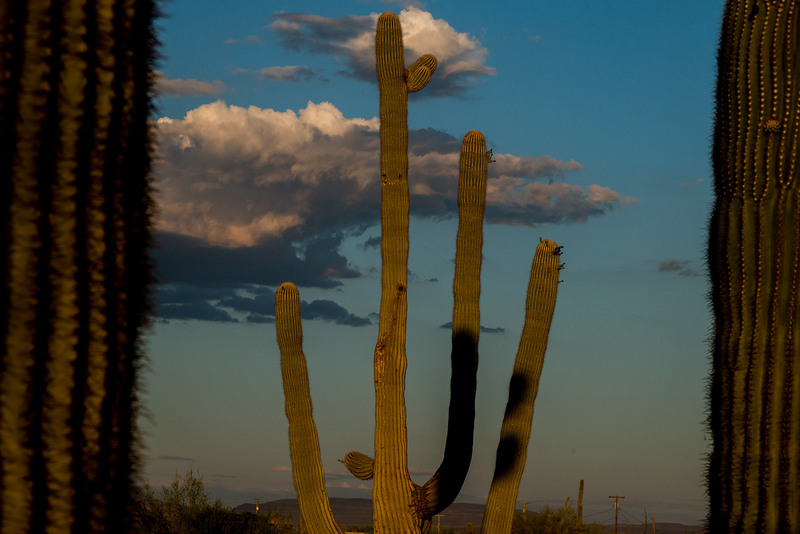 As the wall got longer, more illegal crossings occurred in the desert. 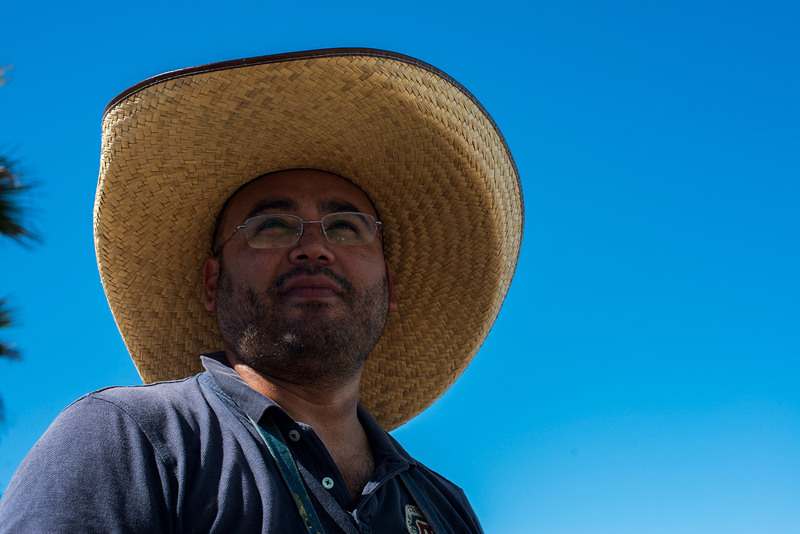 Ely Ortiz founded Aguilas Del Desierto after his brother died in the desert while trying to enter the U.S. illegally. 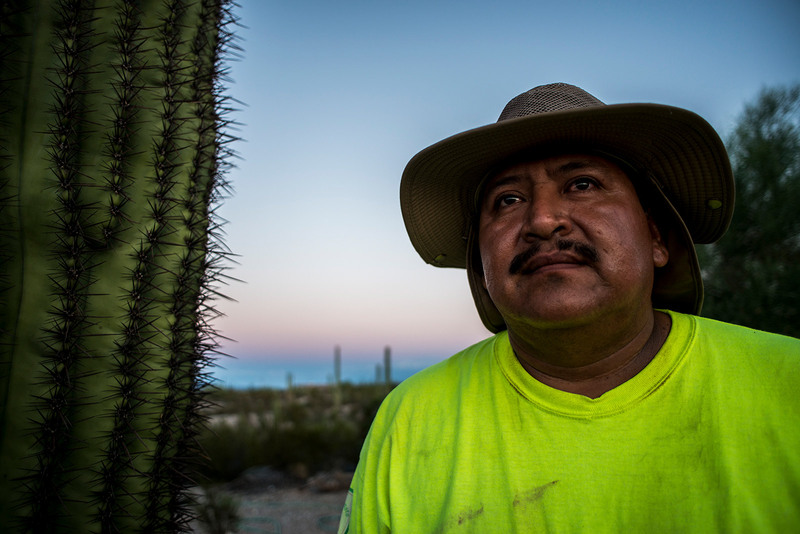 Ely Ortiz, a Fallbrook farmworker, knows the dangers migrants face when they make the desert their path into the U.S. His brother died in 2009 when he illegally crossed into the U.S. through the Arizona desert. 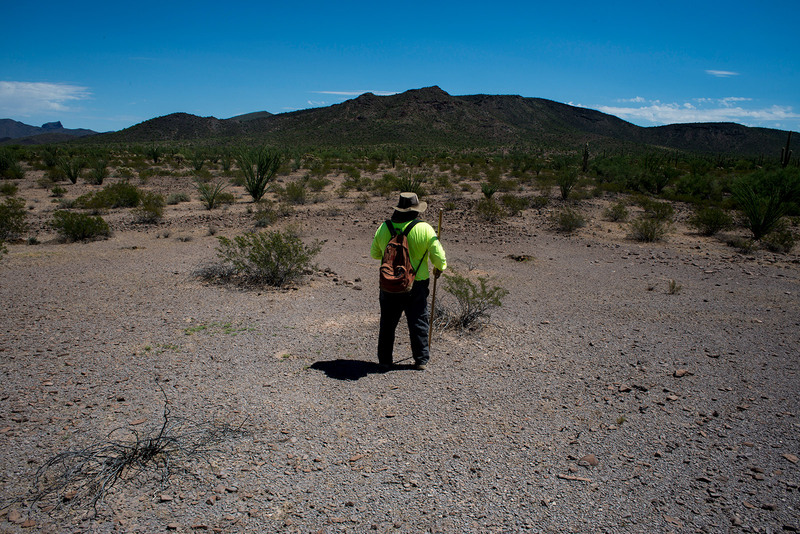 His brother’s death led Ortiz to create the nonprofit Aguilas del Desierto, or Eagles of the Desert, a group of volunteers who search for dead or dying migrants in the desert along the U.S.-Mexico border. Ortiz said he has found people who have walked barefoot for days, the heat having eaten the leather of their shoes and the skin on the bottoms of their feet. Ortiz blames the wall for his brother’s death and the deaths of thousands more. In general, the construction of the current wall coincided with an eastward shift in apprehensions of those crossing illegally into the U.S.
Today, the Rio Grande Valley in Texas is the most popular illegal entry point, with 46 percent of recorded apprehensions last year. Most experts agree the muddy banks of the Rio Grande and private property disputes will make the Texas border with Mexico among the most challenging to fence. Trump has pointed to the success of the Israel-Egypt border wall as evidence that walls can be made largely impenetrable. 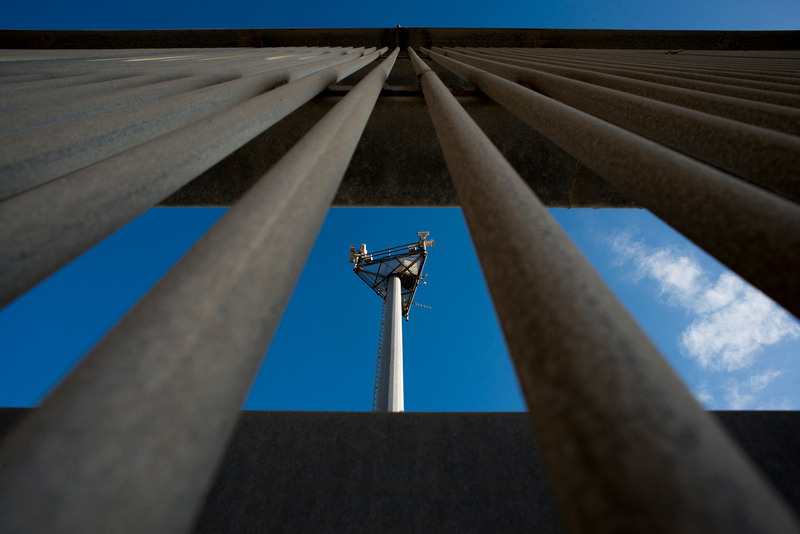 Border walls can be strengthened with sensors and other surveillance technology — features America’s wall already has. 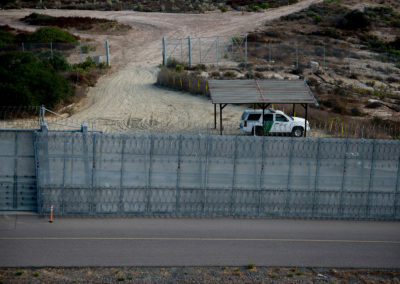 But Israel’s 150-mile southern border may not be comparable with the 1,954-mile U.S.-Mexico border, said Guillermo Alonso Meneses, a researcher at Mexico’s border research institute El Colegio de la Frontera Norte. “Here, the border is so vast that the wall is always going to have vulnerabilities,” Alonso Meneses said. But border security is an achievable goal, he said, just not through construction of physical barriers. Alonso Meneses envisions a more abstract barrier, one that’s built on economics. He said people would be less inclined to leave Mexico if they could be more prosperous and secure at home. Today, the minimum wage in Mexico is about $4 a day, in contrast to $7.25 or more an hour in the U.S.
“The message for Trump is, let’s save money on the wall and improve the economy in Mexico, and then most people won’t leave,” he said. 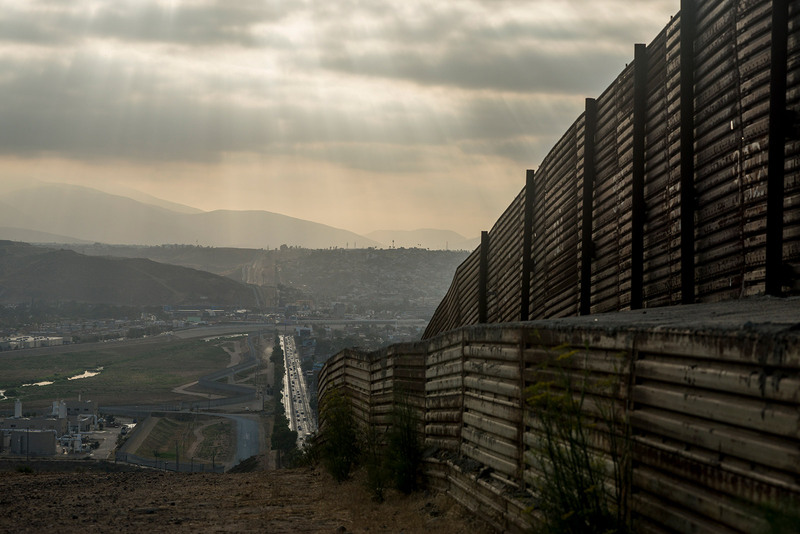 With America’s building of today’s 653-mile wall, some drug smuggling and human trafficking shifted underground. Tunnels as deep as 90 feet evade expensive sensors as well as the eyes of Border Patrol agents. Data analysis by KPBS and inewsource shows more border fence construction at the turn of the millennium correlates with more illegal tunneling. 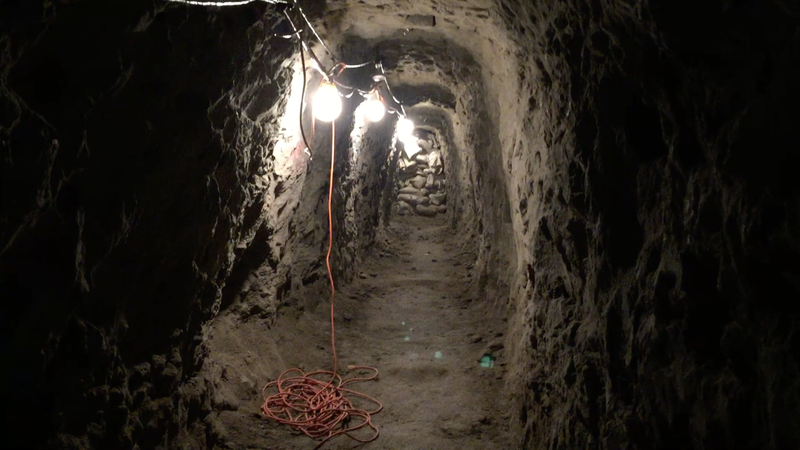 In 2005, four tunnels were found in the Border Patrol’s San Diego, El Centro and Tucson sectors. In 2006, 18 were detected. The increase coincided with the construction of 40 miles of fencing in the same sectors. The discovery of tunnels remained in the double digits for the next few years, peaking in 2009 — the year after a record 295 miles of fencing were built during the Bush administration. More than three times as many tunnels were discovered that year than the entire 1990s. The tunnels have become more sophisticated over time, with lighting, rail systems and innovative forms of ventilation ranging from leaf blowers to bounce house blowers. One tunnel found in San Diego had an elevator in it. Criminal organizations also are digging the tunnels deeper underground and making them smaller so they are harder to detect. Tom Wainwright, author of “Narconomics: How To Run A Drug Cartel,” said the increasing sophistication of tunnels is in line with the cartels’ ways of doing business. Existing tunnel-detection technology — from ground-penetrating radar to sensors that detect subtle shifts in microgravity — gets thrown off by surface noise, radio and electromagnetic interference, and heterogeneous geology along the U.S.-Mexico border. 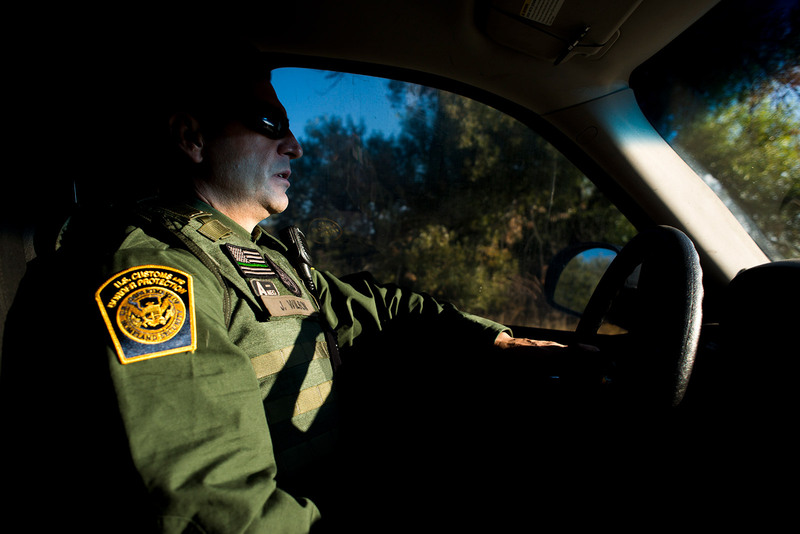 “Right now, it’s lacking,” said Lance LeNoir, captain of the “tunnel rats,” Border Patrol’s five-person tunnel entry team. The most reliable method of tunnel detection has been what LeNoir called “good, old-fashioned police work,” with officials pursuing leads from informants who notice suspicious jackhammer sounds, large piles of dirt or people coming and going at unusual hours. Illegal entries have even extended into the waters off the California coast. “We’ve had people try to swim across, surf across, scuba dive, Jet Ski. There’s no end to the creativity of people trying to come here illegally,” said Wilson with the local Border Patrol agents union. The number of migrants detained attempting to enter San Diego through the Pacific Ocean increased during the late 2000s, around the same time tunnels were peaking in popularity. 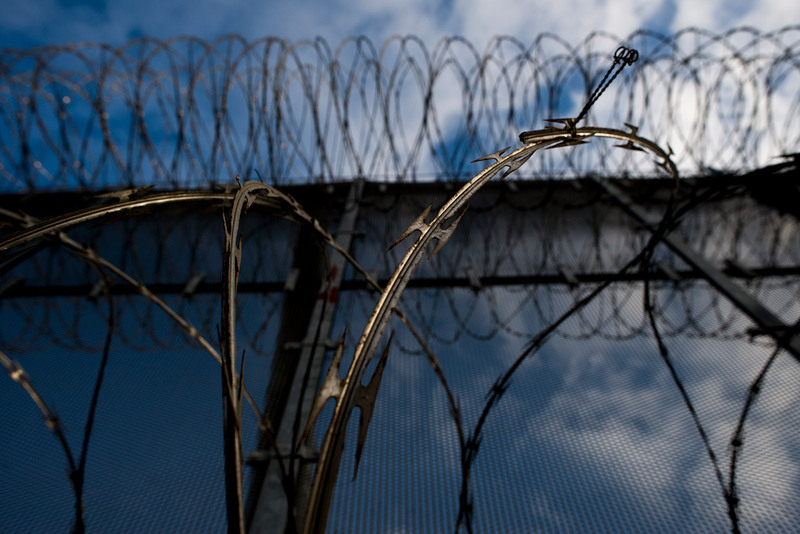 In 2012, 2.7 percent of apprehensions in San Diego were in the ocean. That’s a significant increase from 2008, the oldest year for which data is available, when only about a tenth of a percent of apprehensions were in the Pacific. 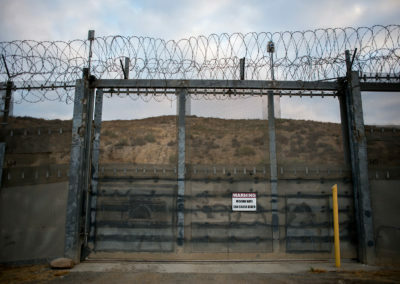 Ev Meade, director of the Trans-Border Institute at the University of San Diego, said walling off more of the U.S.-Mexico border will push more human trafficking into the ocean, as well as into airports and ports of entry where people will use false identification documents or overstay their visas. “The United States is a huge country with two giant … seaboards and lots of international airports. There’s no way to put a fence around all of those things,” Meade said. Smuggling organizations have also started using drones to transport drugs across the fence. Wilson said he is aware of drones being used to conduct surveillance on other agents. Drones can be bought for a few hundred dollars, while a kilo of cocaine transported on a drone can sell for tens of thousands of dollars in the United States. The first apprehension by Border Patrol agents in San Diego of drugs being transported by a drone occurred in August. It was carrying 13 pounds of methamphetamine. 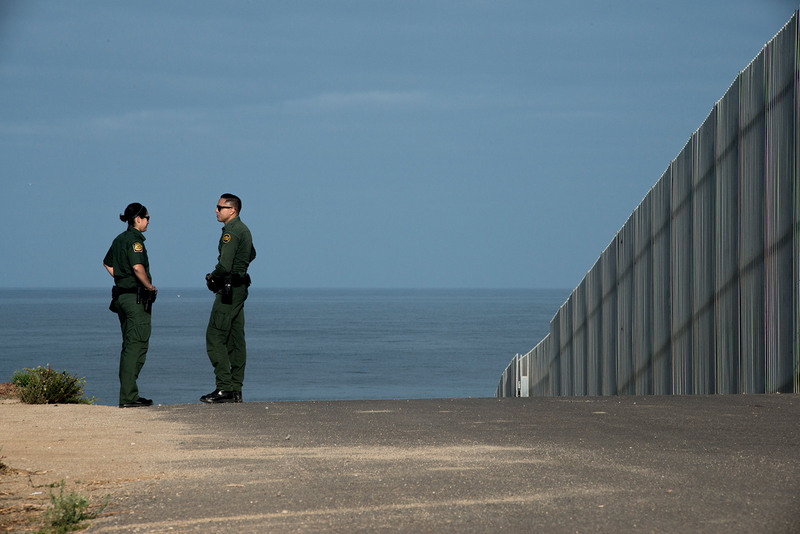 Border Patrol agents had detected six drone incursions in the San Diego area before that but were unable to stop them. So, how did the U.S.-Mexico border become such a complicated landscape of illegal crossings? For more than a century following its creation in the 1848 Treaty of Guadalupe Hidalgo, the U.S.-Mexico border existed almost exclusively as a snaking line on paper. The only signs of it in the physical world were sections of barbed wire meant to stop Mexican cattle from grazing on American crops. 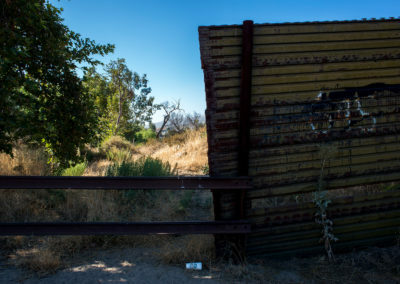 It was not until near the turn of the second millennium that the border began to be marked by a distinctive wall — thanks to three presidents, Democrats Clinton and Obama and Republican Bush. Combined, they are responsible for 97 percent of the wall. Most of the current 653-mile wall began being built under Clinton, with his administration responsible for almost 34 miles of it. Bush ramped up the effort beginning in 2006, building almost 465 miles over the course of his presidency. Obama continued the construction, building 133 miles, though most of it came during 2009, his first year in office. Combined the three presidents also added almost 37 miles of secondary fencing. The oldest still-standing section is estimated to have been built in San Diego in 1962 when Democrat John F. Kennedy was president. It is in what is now known as Friendship Park — a stretch of land where people in the U.S. can interact with people in Mexico through tightly woven steel mesh. Clinton began the first modern ramp-up of border enforcement with Operation Hold-the-Line in El Paso and Operation Gatekeeper in San Diego. “After years of neglect, this administration has taken a strong stand to stiffen the protections of our border,” Clinton declared in 1996. 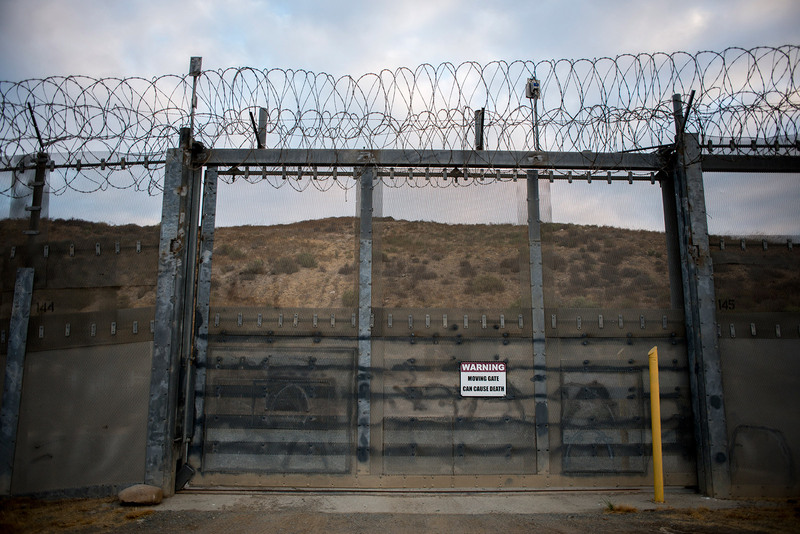 His administration may have pioneered the use of what is known as secondary and tertiary fencing along the U.S.-Mexico border: layered fencing put into place to reinforce the primary fencing. Nearly 24 miles of secondary fencing — 64 percent of all the secondary fencing that exists — was built under Clinton. It can vary widely but was built with intention of stopping foot traffic. This fencing is divided into three types: primary, secondary and tertiary. 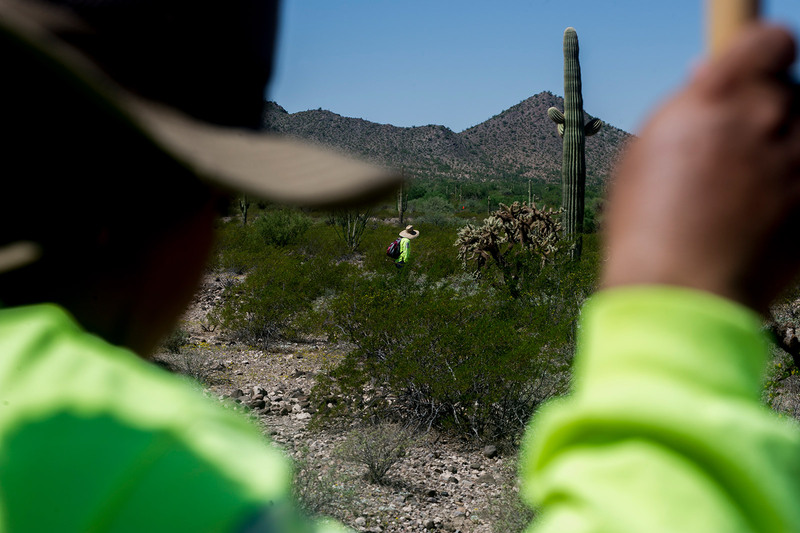 Primary pedestrian: It covers 403 miles and makes up the bulk of fencing along the border. It ranges from corrugated steel landing mats to taller steel wall structures. Secondary pedestrian: It covers 42 miles in four urban areas. Often it’s marked by tall steel walls with barbed wire at the top. 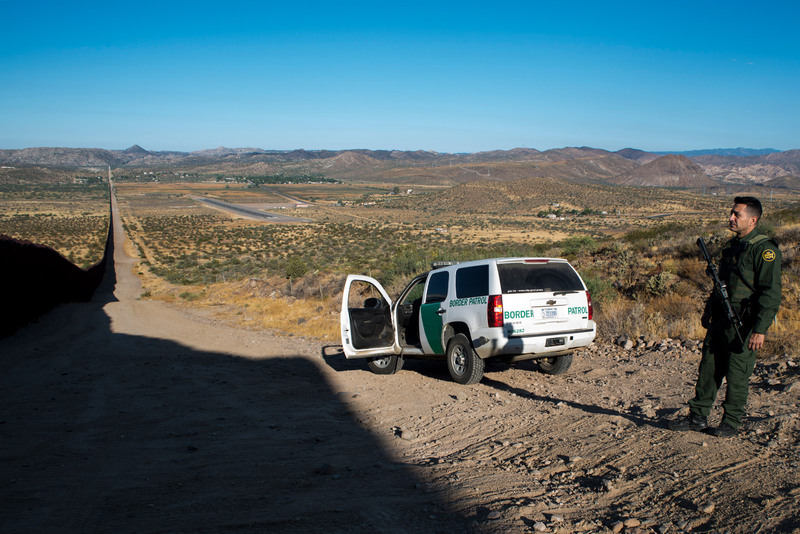 Border Patrol places security, flood lights and roads between it and primary fencing. Tertiary pedestrian: It covers less than 17 miles in three locations. 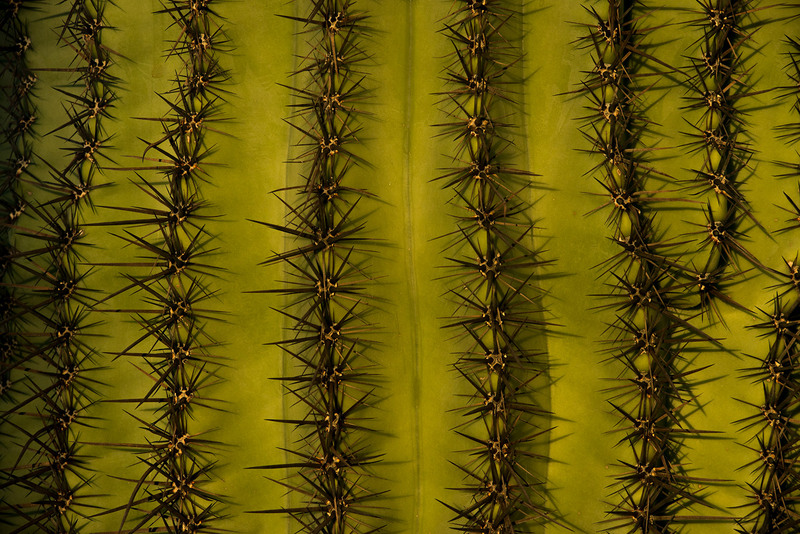 In San Diego, it’s often barbed wire fencing. It is intended to stop car traffic and is often little more than metal poles. This fencing is divided into two types: permanent and temporary. Permanent vehicle: Most of the 181 miles of this fencing is in Arizona. It can be as simple as railroad ties forming a rudimentary picket fence. Temporary vehicle: Most of the almost 119 miles of this fencing is in El Centro; Tucson, Arizona; and El Paso, Texas. Some it is called “Normandy” fencing — metal X’s holding railroad ties. 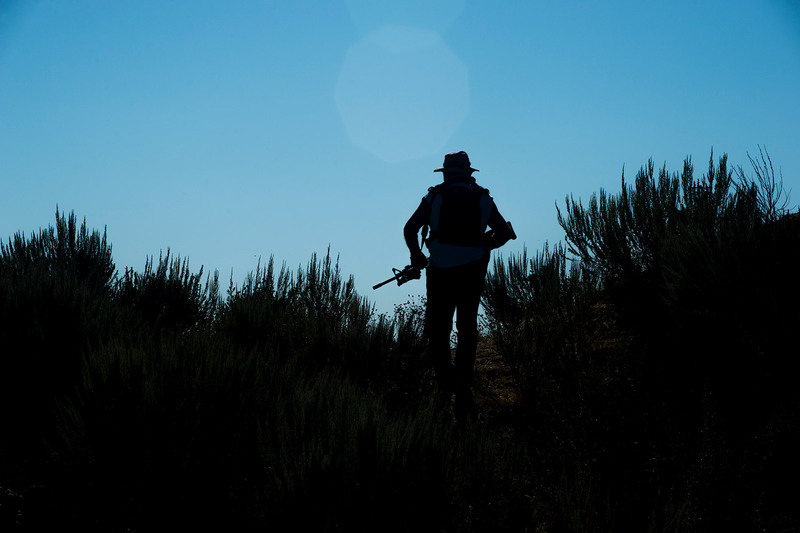 Then, as the Bush administration focused on national security in the aftermath of the Sept. 11, 2001, terrorist attacks, two laws were passed that transformed the border landscape. 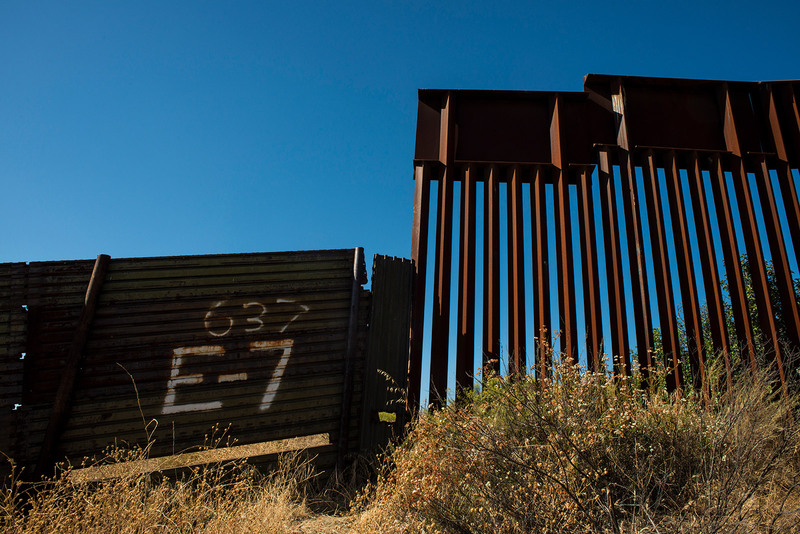 First came the Real ID Act of 2005, which gave the Homeland Security Department the authority to bypass environmental and cultural protection laws to build a border wall. Bush called border security “a basic responsibility of a sovereign nation,” during a primetime TV address. 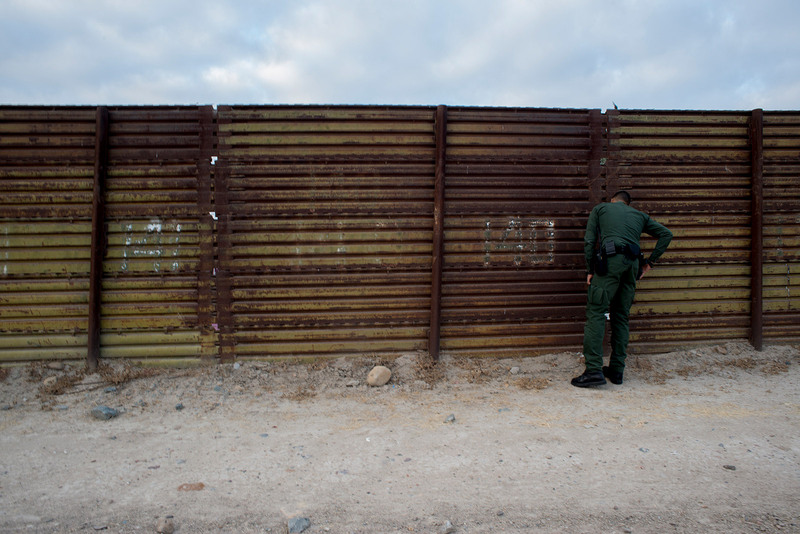 In addition to the fencing, during his time in office he increased Border Patrol staffing 69 percent at the U.S.-Mexico border. The budget for the agency, adjusted for inflation, rose 62 percent during the same time period. Today, if all the double- and triple-layer fencing were lined up end-to-end next to the primary fencing, America’s wall would be 704 miles. 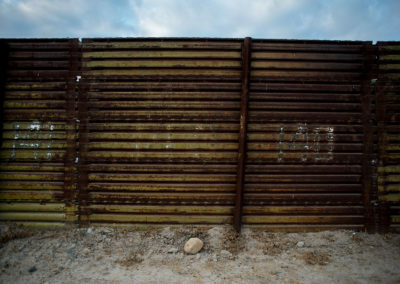 Of the 653 miles of the primary wall, about 119 miles are classified by Customs and Border Protection as temporary vehicle barriers. Most of those are in the El Paso, Tucson and El Centro Border Patrol sectors. In recent years, some researchers and President Obama have seen the need to improve Latin American economies in an effort to curtail illegal immigration. As part of that, the Obama administration launched a $750 million initiative in 2016 to provide aid to the governments of El Salvador, Guatemala and Honduras. The Trump administration plans to cut that assistance to Central America to $460 million, according to the proposed fiscal 2018 budget. His focus, instead, is on transforming the face of America’s wall. 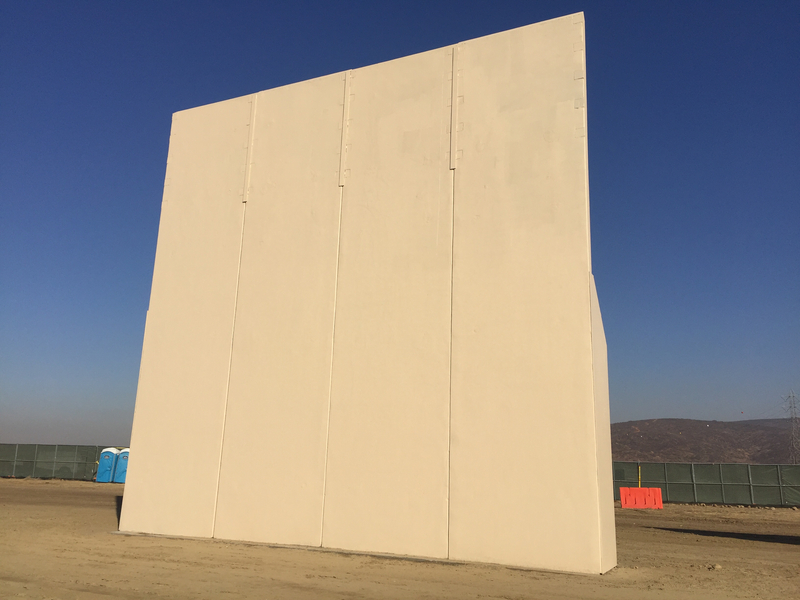 Eight prototypes of what Trump’s wall might look like were completed in San Diego last month. 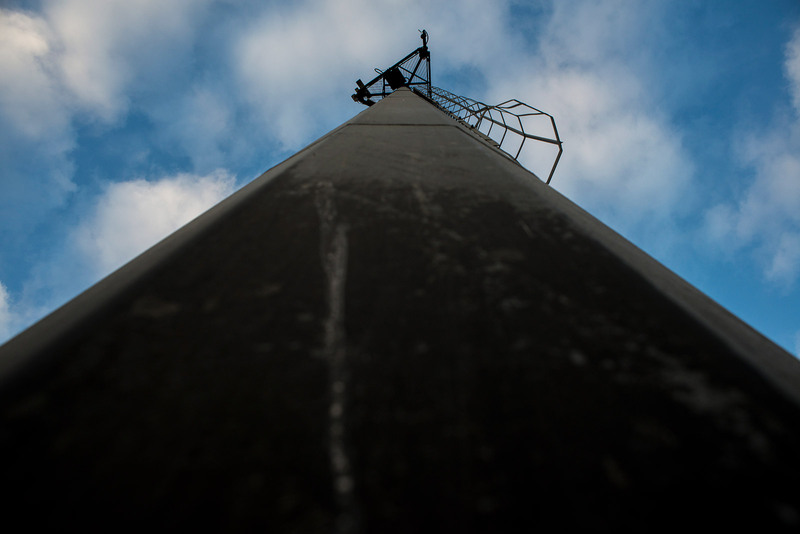 They tower about 30 feet high — three times taller than the old primary fencing at the prototype site. Now, the testing phase begins. Over the next couple of months, the administration will evaluate how difficult the prototypes are to climb, tunnel under and breach with cutting torches and other tools. The prototypes are supposed to be able to prevent digging up to six feet underground. Each prototype looks different: one is silver, another is blue and gray, several are beige. Some are solid concrete. Others have metal bars spaced closely together. 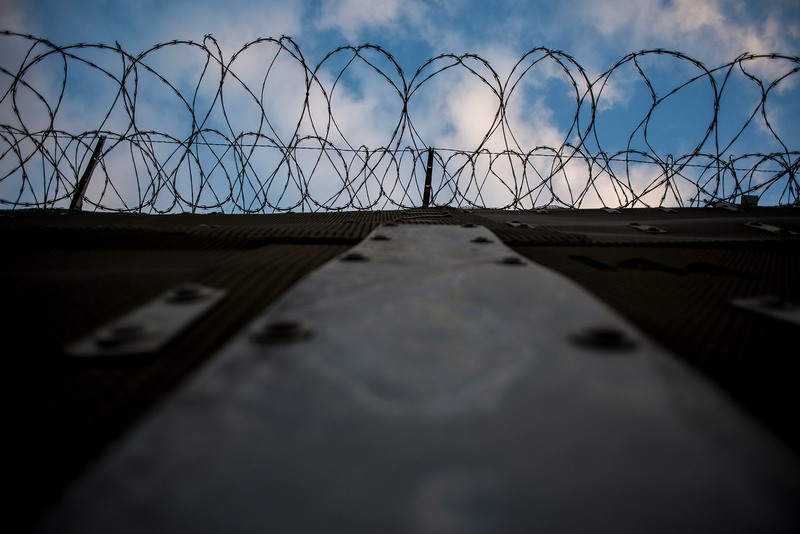 One is topped with razor wire.